Two-division world champion Timothy Bradley has experienced the ups and downs that come with most boxers careers. Bradley, who walked into his fight against Manny Pacquiao in June 2012 as an undefeated world champion in the Jr. Welterweight division went on to score the biggest win of his career by scoring a decision victory over Pacquiao, a fighter whom at the time was considered by many the best pound for pound fighter in the world. Bradley however, would have to deal with controversy as many felt Pacquiao had won the fight. Of course, much of the discussion following that fight centered on the scoring of three official judges in what was scored a split decision in Bradley’s favor. There were many who voiced their dissatisfaction at the result of the bout, but instead of voicing anger and outrage toward the judges, much of the outrage was directed toward Bradley. Bradley would go on to win closely fought battles against Ruslan Provodnikov and Juan Manuel Marquez in defense of the WBO Welterweight world championship he won from Pacquiao. Despite those two impressive victories however, Bradley still had to deal with the stigma of what was created by the outcome of his victory over Pacquiao. This would lead to a rematch between Bradley and Pacquiao in April of last year. Bradley would suffer the first loss of his career losing the title back to Pacquiao via twelve round unanimous decision. Following that fight, this observer stated that it was my hope that the unjust blame Bradley received following the first fight would be quelled and put in the past. Despite the loss, Bradley was prior to his victory over Pacquiao and following the loss in the rematch one of the best fighters in the world. Following a split decision draw with contender Diego Chaves in December of last year Bradley scored a convincing victory over top Jr. Welterweight contender Jessie Vargas earlier this year. The victory over Vargas earned Bradley interim championship status in the WBO’s Welterweight ratings. The designation of interim status however, would not last long as unified champion Floyd Mayweather, who had won the WBO championship in a unification bout against Manny Pacquiao in May was stripped of the title by the organization for failing to comply with the WBO’s regulations, which state that boxers who hold WBO world championships cannot also hold world titles in separate weight classes simultaneously. Readers may recall comments I made in July regarding the status of the WBO Welterweight world championship in stating that if Mayweather were to relinquish or be stripped of the title that Bradley would either as the number one contender be placed in a fight against the next highest available ranked contender to determine a new WBO champion or the more likely scenario of Bradley per having interim championship status simply being named world champion by the WBO, which is essentially what happened. Bradley will look to begin his second reign as WBO Welterweight world champion when he defends his title against top contender Brandon Rios on Saturday night at the Thomas & Mack Center in Las Vegas, NV. This figures to be an intriguing battle between two offensive-minded fighters. Rios will enter this fight coming off of a stoppage win over former Jr. Welterweight world champion Mike Alvarado in their third encounter in January of this year. Rios, who has previously held interim/regular championship status in the WBA’s Lightweight ratings in his career is a straight forward fighter who will likely be looking to apply pressure on Bradley from the outset. Rios is in all-action type fighter who does not take a backward step and will likely look to turn this fight into a brawl. Bradley meanwhile is a fighter who can box as well as stand and go toe to toe with his opponents. Bradley will enter this fight with a new trainer in the form of the legendary Teddy Atlas. In thinking of how this fight might be fought, I had thoughts of Bradley’s fight with Ruslan Provodnikov. 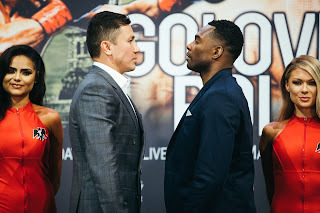 A battle that was voted Fight of the Year in 2013 by many media outlets including Ring Magazine as well as voted Fight of the Year by the Boxing Writers Association of America. A grueling fight of give and take battle where both fighters simply left it all in the ring. Bradley was staggered numerous times throughout the twelve round bout, but showed the heart of a champion by continuing to fight on and fight harder, despite the brutal barrages from Provodnikov. A display of courage and will that this observer said was astounding. Much like Provodnikov, Rios will be looking to bring the fight to Bradley and will be there for as long as the fight lasts. The question this observer has as this fight approaches however, is whether Bradley will elect to box. At his best, Timothy Bradley is an effective combination puncher who looks to wear an opponent down over the course of a fight. Although Bradley has displayed a willingness to go toe to toe with his opposition on more than one occasion, this observer believes that Bradley will be best served to use his Boxing ability in this fight. Bradley will likely be advised by Teddy Atlas to use his movement to control distance and combination punching to out box Rios, who will likely look to cut the ring off and nullify Bradley’s movement. Whether or not this fight will indeed be a classic match-up of a boxer against a puncher remains to be seen. There is no doubt however, that both Timothy Bradley and Brandon Rios are two of the best Welterweights in the world and no matter who wins this fight both are likely to remain players in a division that appears to be heading toward a period of transition following the recent retirement of Floyd Mayweather. We will see who emerges victorious on Saturday night. Bradley vs. Rios takes place tomorrow night (Saturday, November 7th) at the Thomas & Mack Center in Las Vegas, NV. The fight will be televised in the United States by HBO Sports beginning at 9:30 P.M. ET/PT. In the United Kingdom and Ireland the fight will be televised on BoxNation beginning at 1:30 A.M. (Sunday, November 8th UK Time). Check Your Local Listings Internationally.